Join us for a great cause for Flip Off Hunger Los Angeles. As part of this national effort, we will be teaming up with the San Fernando Valley Rescue Mission to provide meals to those in need in the Valley and the surrounding area this holiday season. Registration and practice begins at 11am, tournament to start at noon. Format is a 9-hole pingolf qualifier followed by a match play final round for the top qualifiers. Entry fee is a $20 minimum suggested donation. Donations of non-perishable food items are also welcomed. 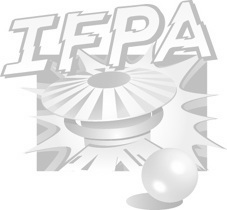 This is an IFPA endorsed event. All participants will earn WPPR points which will count towards state and international rankings. In addition, all participants will receive a discount on AYCE Gogi's excellent menu offerings on the day of the event!